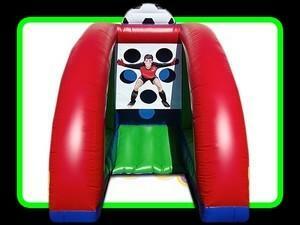 Try out your soccer skills and become a pro with this inflatable game. Perfect for keeping everyone entertained and having fun!! Comes with three balls.